WMI Provider Host or Windows Management Instrumentation Service is an essential part of windows PC, especially for Windows 10 and 8 and is highly CPU consuming software. It is mostly used by developers for monitoring purpose. In easy words, WMI helps in sharing of Management Information with Management Applications. 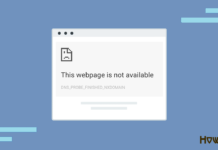 Even though WMI is management software, sometimes it may create many problems like high CPU usage even when PC is in an idle condition or when tracking other applications. You might also notice the application name of WMI Provider Host as wmiprvse.exe. So, this article is dedicated specially on this issues and how to fix them. 1.1 What is WMI Provider Host? 1.2 Why is WMI Provider Host using High CPU? 1.3 Can I Disable WMI Provider Host? 1.4 How Do I Fix This? Windows Management Instrumentation (WMI) is a set of Drivers & Extensions which provide uniform monitoring information. WMI Providers (wmiprvse.exe WMI Provider Host) provide different information when requested. Many applications in windows pc depend upon WMI services. It is an important part of the windows operating system. If we stop WMI, many application may not work or behave badly. WMI also helps with errors in the window by displaying notification about the error. 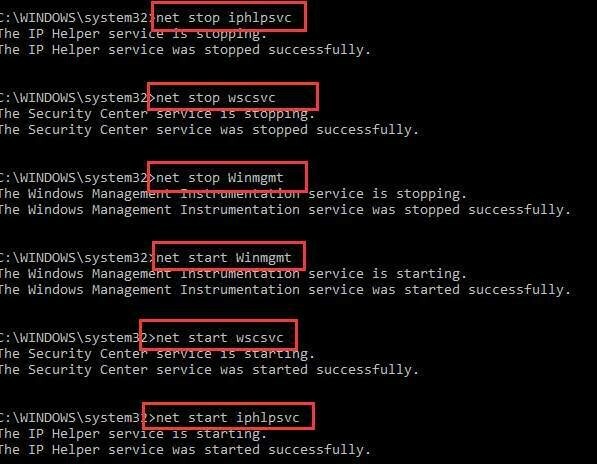 So stopping it may cause to stop these notification but if you know what you are doing and want to pursue and stop the WMI service in Windows 10 then you can follow steps given below. Why is WMI Provider Host using High CPU? WMI Provider Host does not normally use much CPU when PC is in idle condition. WMI mostly takes some sort of CPU Usage when other application request some information or data from the WMI services. If any application requests WMI for some information then WMI first analyses the request and give revert to the application as per their needs. 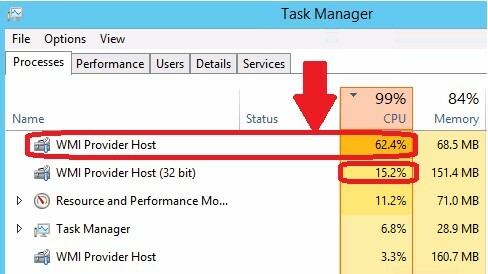 So sometimes, the application or the WMI Provider Host may behave abnormally and cause High CPU Usage or High Disk Usage. 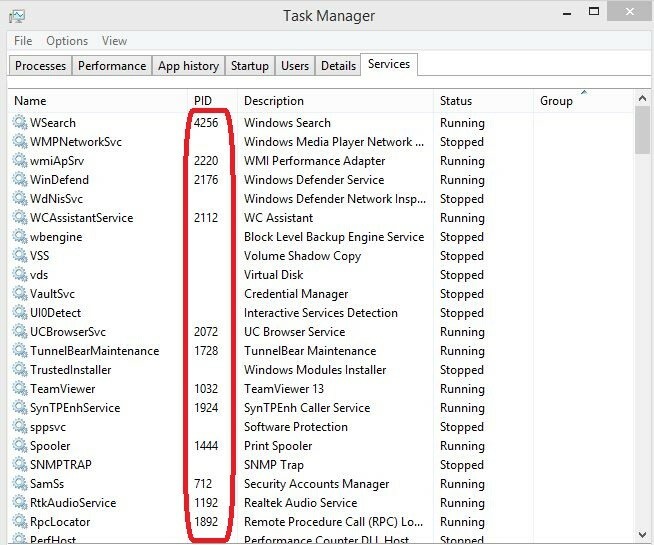 Well, High CPU usage for such service is completely normal but if WMI is showing High CPU usage even in an idle condition that may be a sign of something wrong or something unethical. WMI uses high CPU when we save new data or install the new application or doing any new work but this high CPU usage is for the small interval of time. However, if WMI Provider Host services are taking so long using High CPU then something is really wrong with your system. Sometimes WMI may take a long time as it may receive the request for a large amount of information and can cause High CPU usage. 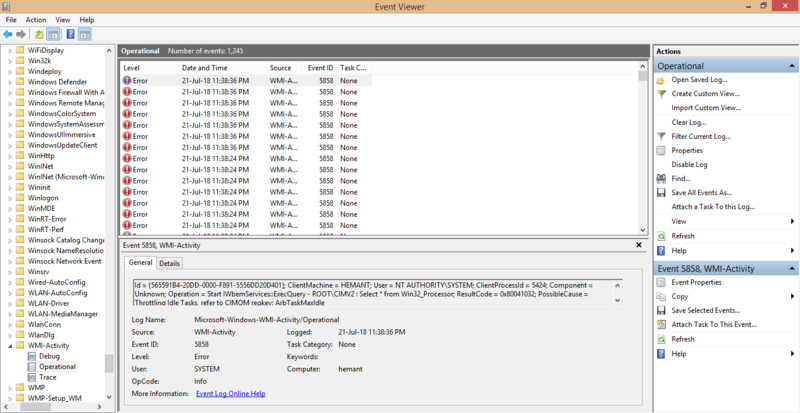 Can I Disable WMI Provider Host? So proceed ahead with this caution and care. Alternately, You can fix the problem without disabling the Windows management instrumentation. If you have a problem with WMI, here are 3 methods to fix the problems that you can try. So don’t disable the service because that may lead you to much bigger problems. 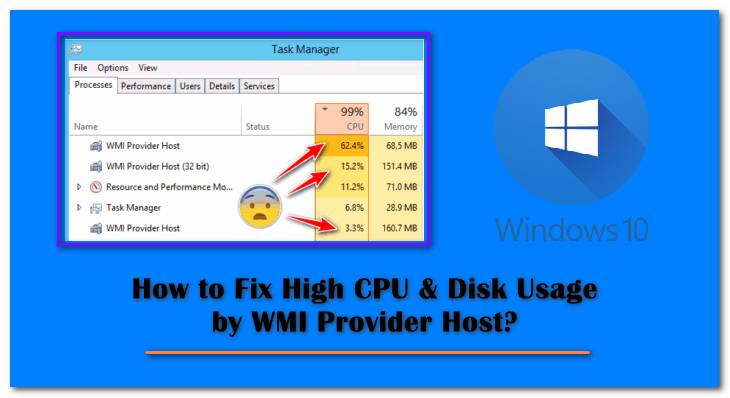 We are here with 3 Solutions which you can try and fix the High CPU usage by WMI Provider Host or Background running issue. All the method described below are tested and working but we don’t guarantee you that every method will work. So try these methods and see which solves your problem. Here is solutions quick overview. Let’s see each solution one by one. We all want that our system remains up to date and we make sure to do so but sometimes we also get virus and malware with the updates. These virus and malware are one of the reasons that WMI Provider Host uses much CPU than normal as this virus can request WMI for data and information in big quantity and by doing so the WMI Provider Host Service will get busy and makes the CPU work much more and at high rate. So it is highly recommended to you that after every window updates, downloads and new installations, make sure to scan you computer for Viruses and Malwares and also do same at regular intervals. Once any virus or malware are detected by the antivirus make sure to delete them or repair the affected software or file in your computer. Restart your Computer after performing the changes. Tip: There are many Free and Best Antivirus Available Online. But make sure to select one good one as per your system requirements and download from trusted source. Refer the highlighted article below to check the list of good antivirus for 2018. 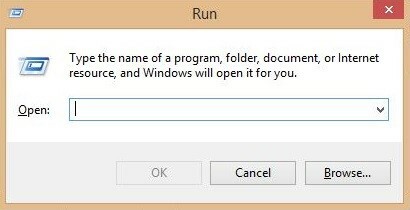 Step – 1: On your keyboard, Press Window Key + R to open the Run dialog box. Step – 2: Now in the search box type services.msc and press Enter or OK. Step – 3: Now Services dialog box will appear on the screen. 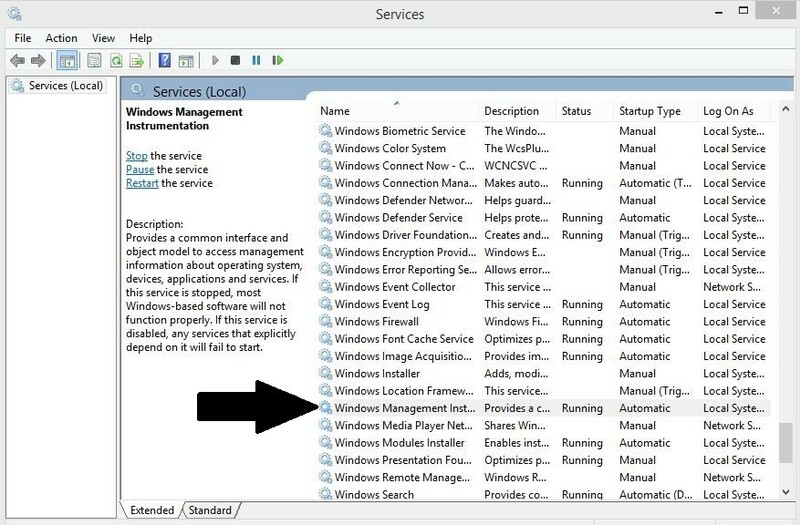 In the Services (Local) box, Scroll down and select Windows Management Instrumentation. 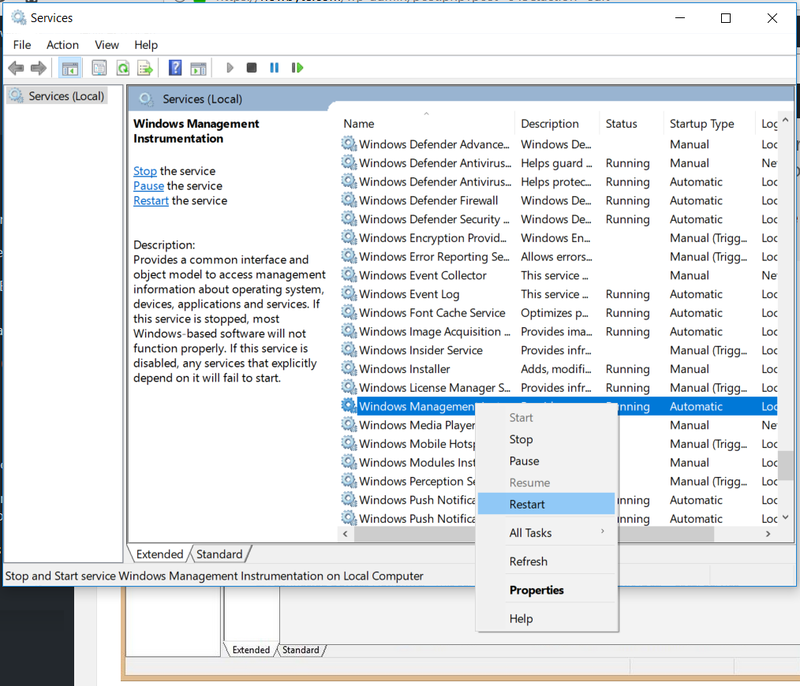 Step – 4: Right click on Windows Management Instrumentation Service and Select Restart option. 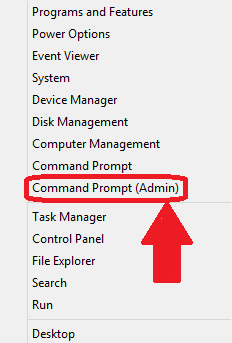 Step – 5: After restarting, press Window Key + X and select Command Prompt (Admin). Step – 7: That’s it. Now close all the windows and restart your computer for the changes to take effect. Hope this makes the WMI Provider Host Service behave normally. 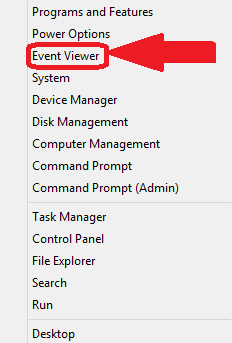 Step – 1: First of all, Press Window Key + X on your keyboard to open the Window Mobility center and click on Event Viewer to open it. 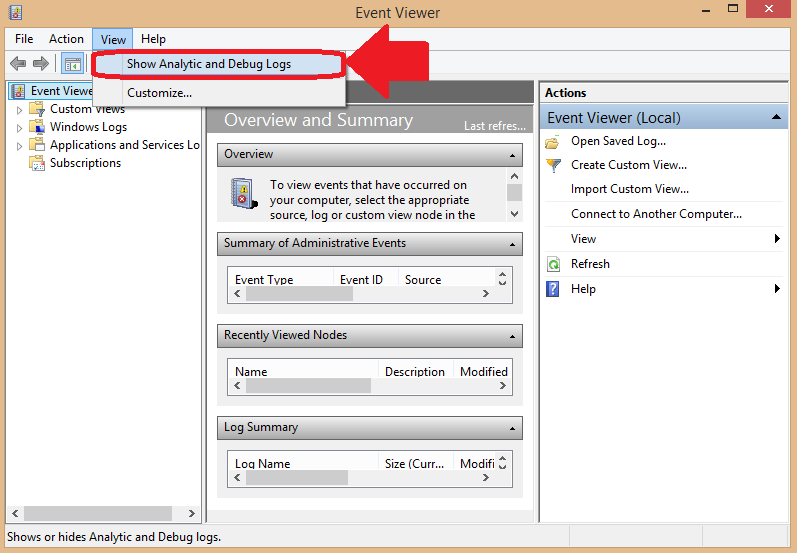 Step – 2: Now in the Event Viewer, click on View >> Show Analytic and Debug Logs. 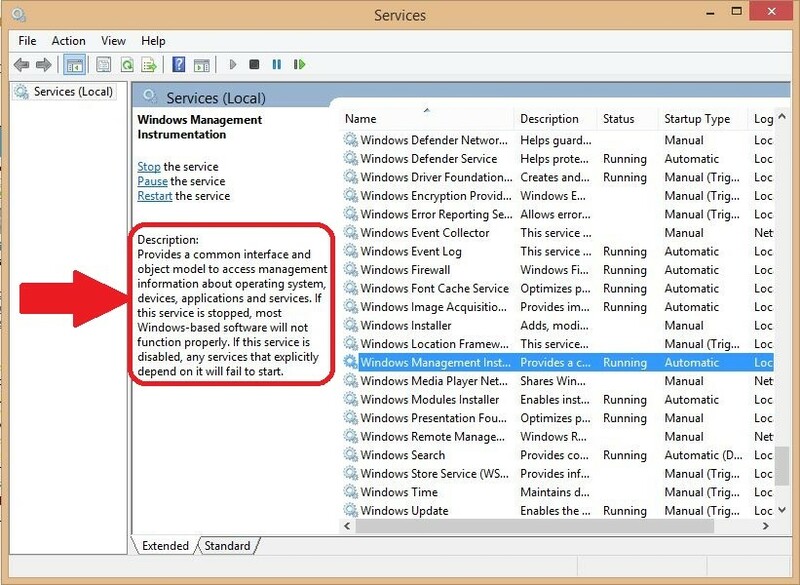 Step – 3: In the left box, click and expand Applications and Service Logs >> Microsoft >> Windows >> WMI Activity >> Operational. Step – 4: Now click on the errors one by one and note down their ClientProcessId as shown in the picture below. 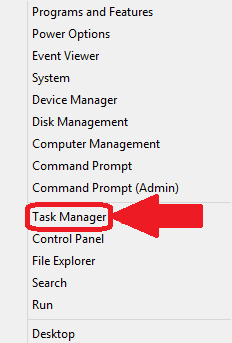 Step – 5: After that, press Window Key + X and click on Task Manager. 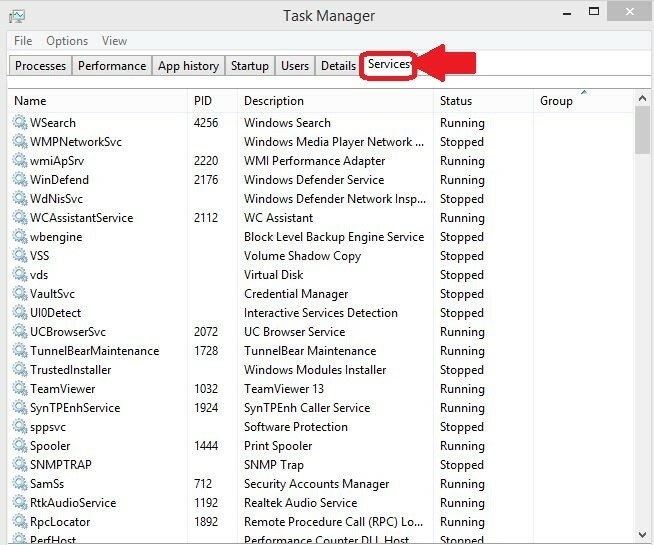 Step – 6: Now in the Task Manager go to services Tab. Step – 7: Find or locate the Processes with the same ID that you noted from the Event viewers. Step 9: Once located, right click on them and select Stop or Restart as per your choice. If that process is from any of your important or necessary software then just restart the process otherwise stop them. 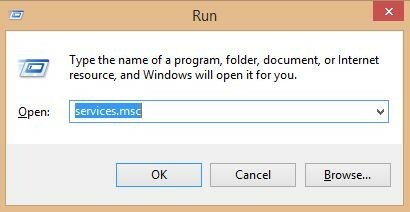 SUGGESTED READ – What is SuperFetch and How to Disable SuperFetch in Windows 10? That’s it guys!! 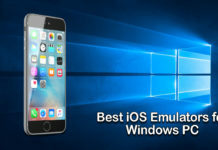 I hope this will help you and we have given the best methods to solve this very popular and annoying issue with most of the Windows Users i.e., WMI Provider Host and High CPU USage by it. It is very important to download drivers and software from legit websites or sources only and you must scan your PC for any type of malware or viruses. After trying these methods make sure to Reboot your PC so that new drivers or change may take place and work properly. If you have any question regarding this Guide, Feel free to comment below and ask questions. Team HowByte is always ready to help you.